Getting ready for 2nd Grade! I love Heart of Dakota’s history selections. LOVE them! 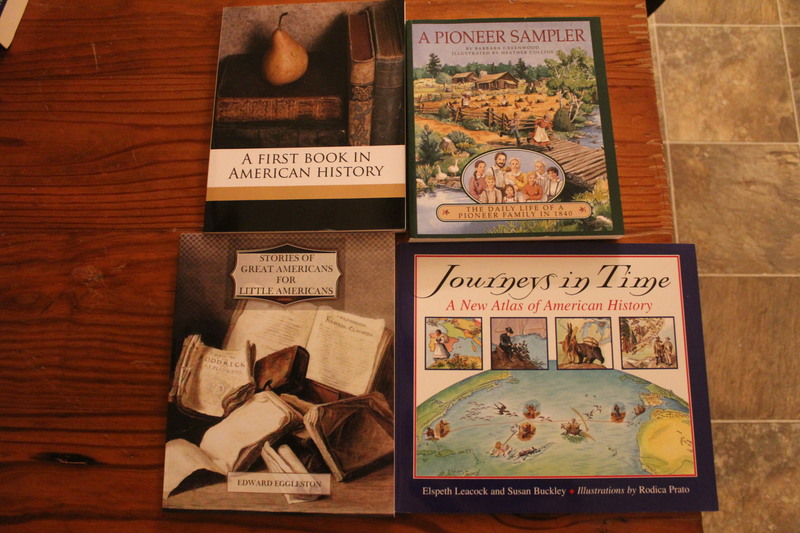 I especially love A First Book In American History. It’s an old book (written before 1923) that was brought back into print because it was culturally important to history. The copy I have is a scanned copy and is full of imperfections. I just love how old the inside pages look! Remember, I’m weird. We will also be using A Pioneer Sampler as a part of our science curriculum as well as history. I like for our science to flow from what we are studying in history, which is how HOD works. 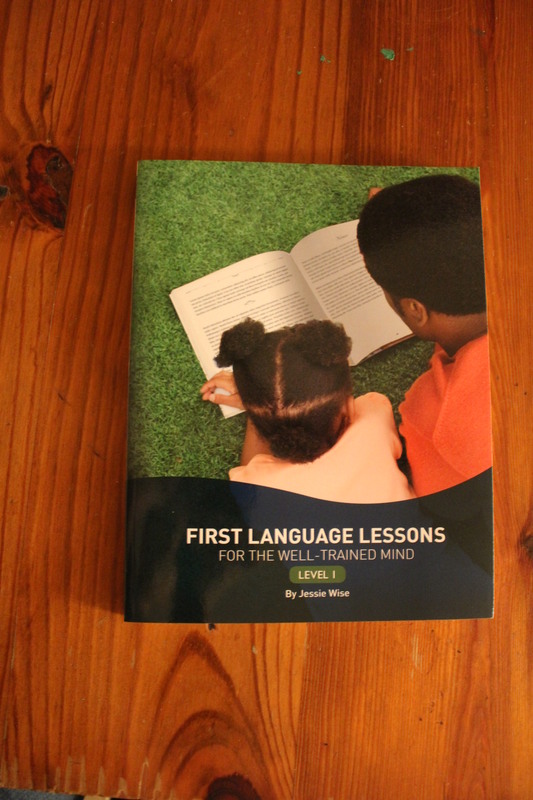 For LA we are using First Language Lessons for the Well-Trained Mind, Level 1. This is our first year doing language arts! 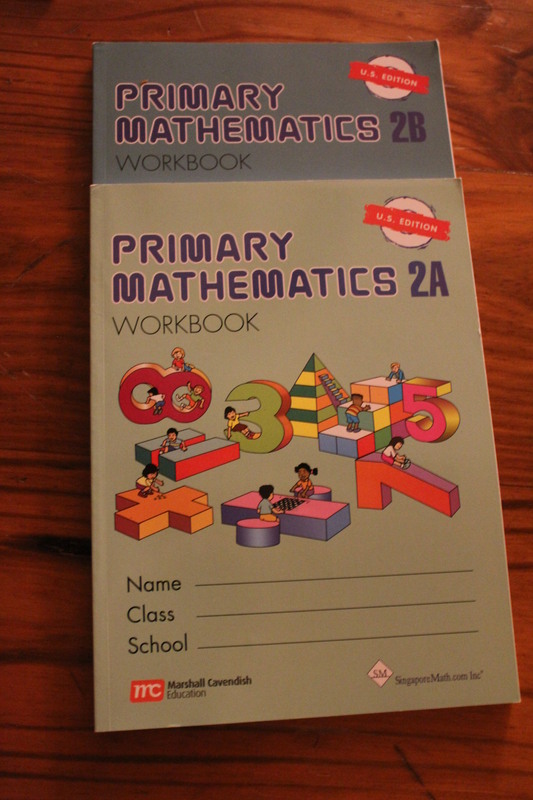 We have really loved Singapore Math so we’re continuing with books 2A and 2B! Luke loves math! He’s already begging me to get started on this! We’re using Handwriting Without Tears again this year. 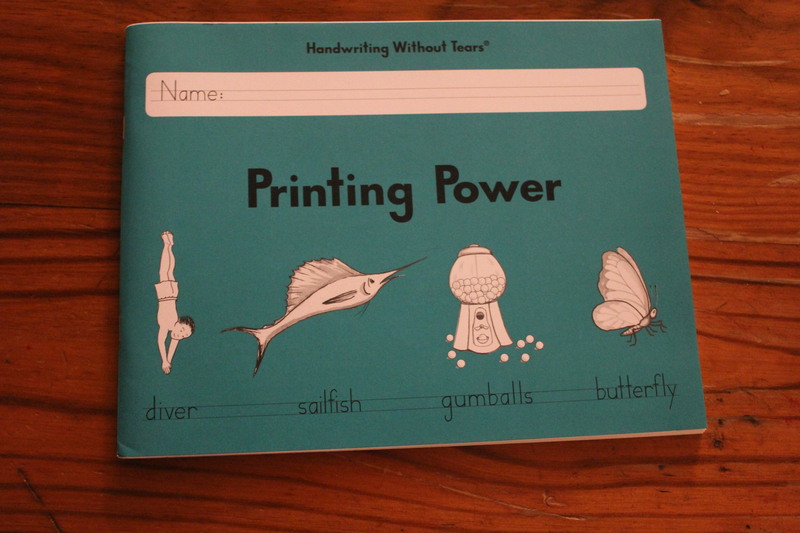 We will do Printing Power the first semester and then transition to their intro to cursive for the second half. Above is our read-a-louds. These really are my favorites of all of our books! I will be adding more but these are what we have now! 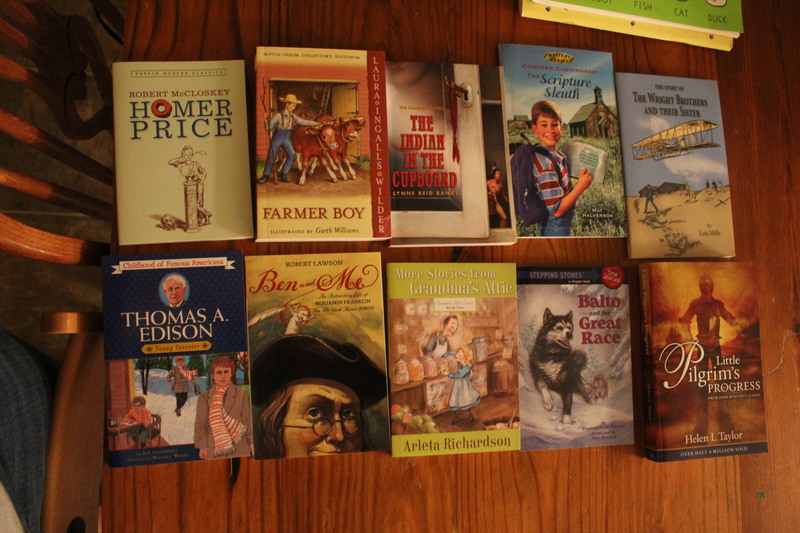 We will be reading fiction and non-fiction. Some will go along with out history lessons and some just for fun! Pilgrim’s Progress is thick so this one will be on going as we read others. I’m hoping it will be a family read a loud. 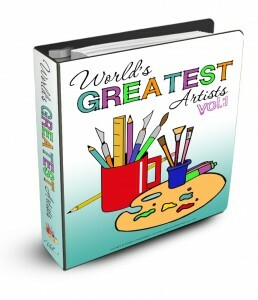 I am really excited about using World’s Greatest Artists from Confessions of a Homeschooler. I think the boys will both really enjoy this! She has a fantastic website and I plan on using her site for Eli as well! 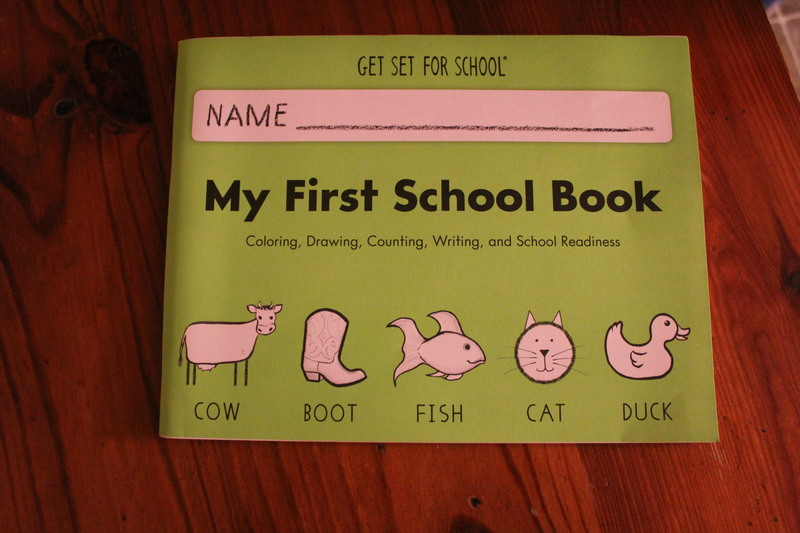 And last is Eli’s first school book! This year we will be learning number/letter recognition, letter sounds and working on fine motor skills. This will be a no pressure approach, just fun! If he’s not into it, no big deal! Although last year he was excited to get any worksheets to work on while Luke did his work! We will be using Spelling Workout this year but I haven’t purchased it yet (waiting for the Hubs to get paid). This will complete our 2nd Grade curriculum. It looks like a lot to me but we only do math, read a louds and Bible every day. The others are 2, 3 and 4 days a week. School for Luke’s age should take no more than 2 hours. We usually do school in 30-45 min chunks and then take a break, so it’s spread out over about 3-4 hours. I’m hoping to blog more about our school year than I have done in the past. I want to especially encourage moms who are thinking about homeschooling! It can seem like a daunting task but it’s so doable and worth it. I can’t tell you the joy that it’s brought me watching Luke learn to read and knowing I taught him! Someone asked me once if I had a degree in teaching. I said, “Nope, but I am their mommy!” God has well equipped me to teach my children! And if He’s calling you to homeschool, He’s fully equipped you as well! I’ll let you in on a little secret… we actually started our school year this week! We did two days and next week we will do three. I got this idea from a friend and I think it’s going to help us see how school is going to go this year. I won’t pretend that I’m a little anxious about having a little one in the house but I am trusting the Holy Spirit to give me wisdom! He has called me to this task, so obviously He will provide a way! We will officially start our full weeks on August 5th and while this is earlier than public school, I like it this way because it gives us flexibility! And flexibility is one of my favorite things about homeschooling! When do you plan to start school?